Below you can view all the homes for sale in the Millstone Creek subdivision located in Lancaster South Carolina. Listings in Millstone Creek are updated daily from data we receive from the Charlotte multiple listing service. To learn more about any of these homes or to receive custom notifications when a new property is listed for sale in Millstone Creek, give us a call at 704-705-8735. Every feature of this house was planned and built in exacting detail, and you will be thrilled to call it your home. MLS#3488560. R. W. Price & Associates, LLC. 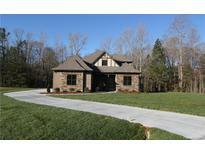 Less than a mile from new Indian Land High School, easy commute to Ballantyne and low SC taxes. MLS#3483682. Keller Williams Ballantyne Area. The list goes on!!! Call us to schedule appointment! MLS#3482086. Erica Homes LLC. This home has a 3 car garage with ample walk in storage space. This home is move-in ready! MLS#3466981. Giving Tree Realty. Easy Access to Ballantyne, Waxhaw, Rock Hill, I-485 and Much More. This is a Must-See Home! MLS#3433436. Keller Williams Ballantyne Area.